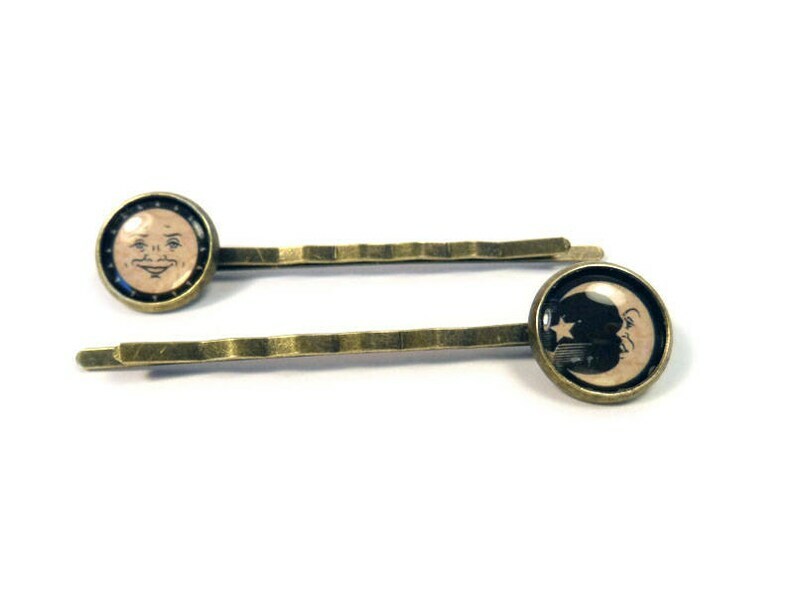 A pair of hair pins, with an image of the sun and moon symbols from the corners of a Ouija board under a clear setting, in a 12mm brass bezel. Packaged on a metallic damask card, with the settings positioned as you see in the first picture, so that you can wear them on opposite sides of your head to mimic a Ouija board. If you would like them facing the same way as in the model photos, please let me know in the Notes to Seller section at checkout. Perfect for any lover of Tarot, oracle, Ouija, occult symbolism, astrology, and divination.